Specialty : Business Analysis; Project Management; Change Management; Business Strategy; Operational Management; Staff Management; Team Building; Team Management; Contractual Negotiations. 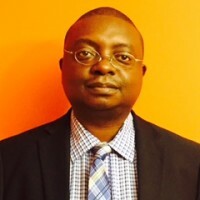 Mbalanga Badibanga is Assistant Vice President at Laurentian Bank of Canada. He specializes in Consumer Business Transformation, and is a banking professional with more than 16 years experience and particular expertise in project management leading to profitable results. In the next 3-5 years Mbalanga hopes to excel in his current position and seriously impact the bottom line of his institution. He looks forward to meeting other members with whom to exchange information about their different fields and to learn more of other fields. He is also looking for opportunities to help organizations (for profit or not-for-profit) by serving on their boards.